The National Heritage Council of South Africa (NHC) is running a programme that funds heritage projects from communities annually. These projects that are submitted to the NHC are evaluated by an independent committee that is appointed to serve for a term of three years. A new Heritage Funding Committee was appointed by the NHC from a public nomination process. 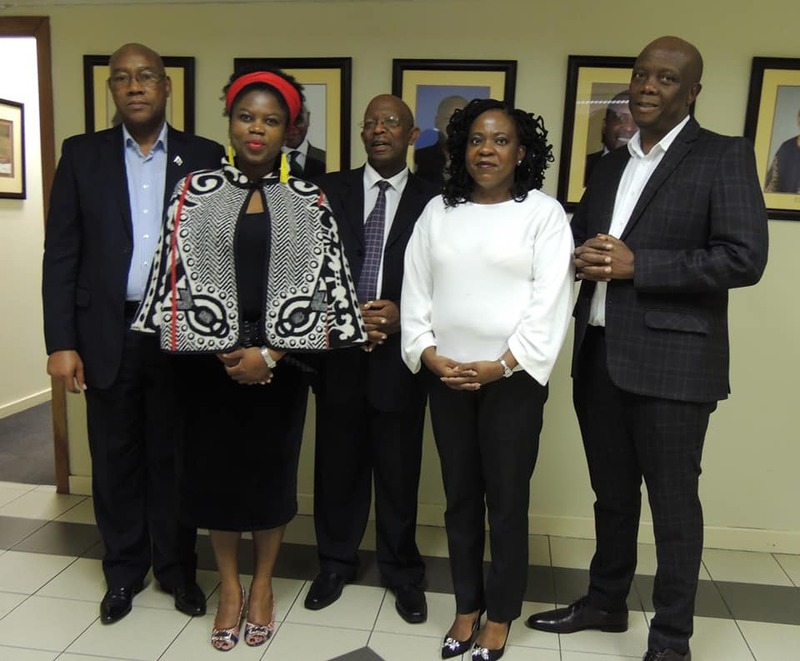 The Chairperson of the five-member committee will be Colonel Sipho Majombozi who will be supported by Adv Pumzile Mayapi, Mr Fezile Dantile, Ms Palesa Kadi and Ms Thandiwe Msibi. “We are looking forward to work with the new Heritage Funding Committee that will bring expertise and knowledge from across various fields to benefit the heritage, especially in community development. We are fortunate to have such distinguished members of our society making time for a good course. The NHC will forever be grateful for their service,” says Adv. Sonwabile Mancotywa the CEO of the National Heritage Council. The work of the Heritage Funding Committee includes the assessment and recommendation of innovative project proposal with a potential to contribute to the strategy of developing heritage in the country. The public is already invited to apply for funding from the National Heritage Council. The call for funding proposals will close on 28 February 2019. All the information is available from the website www.nhc.org.za/funding. Sipho Majombozi is a Colonel in the South African Defense Force (SANDF). His interests range from demanding private sector business responsibilities, government entities and Non-Governmental Organisations. Colonel Majombozi has a wealth of experience in many disciplines that he shares with the greatest humility which makes him an asset for organizational development in the heritage sector. He will continue as the Chairperson of the Heritage Funding Committee of the NHC. Pumzile Mayapi is an admitted Advocate of the High Court who graduated from the University of Fort Hare. He carries a wealth of knowledge about the liberation heritage of South Africa and happens to be one of the key programmes of the NHC. Adv. Mayaphi contributed personally to the liberation of struggle from outside and inside South Africa. He was imprisoned and once sentenced to death for some of the underground operations during the freedom struggle era. He managed the establishment of institutions and led transformation programmes at provincial government level. He is currently a senior manager in the Provincial Government. Palesa Kadi is a historian whose experience in Board Leadership spans a wide range of organisations. She has a good understanding of the heritage sector and has worked with community related projects for a considerable number of years. She obtained her Master’s degree from the University of the Western Cape. Her undergraduate studies were on political sciences. She is now a Counselor at the Independent Communications Authority (ICASA). Thandiwe Msibi is an independent consultant in areas of Economic Development and Corporate Social Responsibility. Her experience covers the public and private sector to include responsibilities such as setting up CSR departments, establishing integrated reporting frameworks, developing case studies for policy development and more. She specialized in Industrial Psychology and Industrial Sociology. Fezile Dantile is the Managing Director of his own business after a holding various senior portfolios in the human resource field. His extended interests are strategic management, stakeholder engagement and organizational repositioning. His skills are of exceptional value to the community project in the heritage sector. Is one of the only two members who continue their term in the Heritage Funding Committee to ensure continuity.